Carnosine, otherwise known by its scientific name beta-alanyl-L-histidine is composed of a single molecule of the amino acids histidine and beta-alanine and is known in chemical terms as a dipeptide. The L isomer of carnosine is found throughout the bodies of animals, is most concentrated in the brain and muscles, and is biologically active in humans. L-carnosine is present and available in animal protein, especially red meat, but not in plants, so strict vegetarians, vegans and people who do not consume enough beef, poultry or fish don’t receive l-carnosine from dietary sources. Your body products carnosine in high concentrations in your skeletal muscle, your brain and nervous system, and in the lenses of your eyes. What are the Health Benefits of Carnosine? The health benefits of Carnosine are numerous. It has long been used as for its anti-ageing effects, but it is also well known as an antioxidant. As yet, there is no defined dose for supplementation with carnosine, however, carnosine has no significant side effects. A paper published in “Science of Aging Knowledge Environment” in May 2005 by V. Prakash Reddy of the University of Missouri, acknowledges the potential for carnosine to improve the symptoms of Alzheimer’s disease. Reddy notes the fact that carnosine inhibits advanced glycation end products, called AGEs, which contribute to Alzheimer’s disease. Further studies may eventually establish a more specific action of the substance in the treatment and prevention of Alzheimer’s disease. 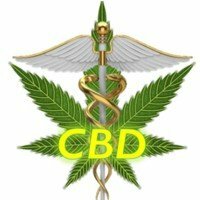 A study conducted by the Autism and Epilepsy Specialty Services of Illinois by lead author Michael Chez, M.D on 31 children and reported in the November 2002 Journal of Child Neurology that treatment with carnosine for eight weeks improved performance on several tests that measure autistic behaviours. The double-blind study showed that the children who received the placebo showed no benefits, and based on this study, Dr Chez surmised that carnosine may improve neurologic function. A study published in Biochemistry on 14 May 2009, by lead author Francesco Attanasio of the Institute of Biostructures and Bioimaging in Italy, found that carnosine prevented or reversed cataracts in rat lenses that were exposed to substances that induce cataracts. Another study published in “Drugs R.D.” in 2002 led by Mark Babizhayev MA, PhD, showed an improvement in vision in a test group of 49 people with senile cataracts, using eye drops containing carnosine. Carnosine is showing promise as a chemopreventive, and encouraging studies focusing on its antioxidant and anti-inflammatory characteristics. As an antioxidant, carnosine blocks the DNA destruction that can lead to the cancerous transformation in cultured cells, and it increases the lifespan of cell cultures in the laboratory. Carnosine also prevents the release of inflammatory cytokines in intestinal cells, thereby significantly reducing the risk of colon cancer. It has also shown the ability to inhibit new metastases, and to interfere with the energy metabolism of cancer cells, making it a very interesting anticancer nutrient subject for further studies. Carnosine supplementation in animals was shown to delay the onset of diabetes and increase the amount of insulin-secreting pancreatic cells. Carnosine has been shown to inhibit sympathetic nervous system activity that might otherwise promote hypertension and associated blood pressure elevations. Its anti-glycation characteristics have even been shown to help prevent harmful alterations of LDL cholesterol molecules that contribute to arterial plaque formation, thereby protecting blood vessels from diabetic damage. An animal study determined that carnosine decreases blood glucose levels through its effects on the autonomic nervous system, reducing the effects of damaging glycation reactions. Strict vegetarians, vegans and people who do not consume enough beef, poultry or fish are most prone to an l-carnosine deficiency as it is not present in their diet. 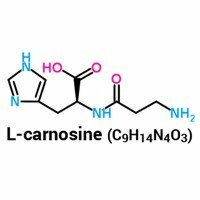 Also, l-carnosine levels decline with age, so older people are likely to reap the health benefits of carnosine supplementation.